Modern BCAA - The BEST BCAA! Right now at USPLabs there is a lot of ongoing work with fasted training, which essentially means working out on an empty stomach (preferably first thing in the morning). 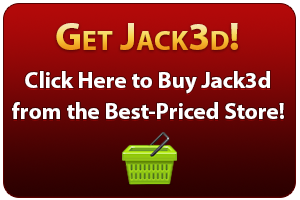 This is in order to achieve maximum fat burn, and can, of course, be done with Jack3d. Branched Chain Amino Acids, or BCAA, include three of the eight essential amino acids required for producing protein valine, leucine, and isoleucine. Their powerful combination makes up for approximately one-third of the entire skeletal muscle in the body. In order to get energy, the body breaks down muscle to make use of BCAAs. By consuming high percentages of BCAA before or after your workout, you can make sure that tissues and other muscles are spared from the breakdown. Leucine also works together with the other BCAAs to serve as fuel for the body and prevent muscle breakdown. Isoleucine is responsible for regulating and stabilizing your blood sugar as well as your energy levels. It is also required for the formation of hemoglobin. Together with the other two BCAAs, they can increase your durance, enhance your energy, and speed up the repair of muscle tissues. Finally, valine aids in proper muscle metabolism, faster tissue repair, and the maintenance of the appropriate nitrogen balance that the body needs. These important functions make Branched Chain Amino Acids valuable tools for athletes and everyone else who wishes to build more muscle. Studies reveal that BCAA supplementation can deliver far-reaching positive effects on the body. Hard-training athletes and fitness buffs will greatly benefit from its ability to increase metabolic recovery. It will also decrease the amount of soreness you will feel after your workouts. With adequate amounts of Branched Chain Amino Acids in the body, you can recover faster from exercise-induced protein damage and experience faster strength gains. They will also allow you to train at higher intensities without feeling tired, nauseous, and weak. Anyone who is trying to stick to a low-calorie or low-carbohydrate diet will greatly benefit from these effects. BCAAs can also stimulate the synthesis of muscle proteins, which leads to faster muscle gains. Studies also show that people with adequate amounts of BCAA in the body can gain muscle even without weight training or any other anabolic stimulus. It also triggers significant losses of body fat, thus making it ideal for those who wish to lose fat especially in the abdominal region. Finally, Branched Chain Amino Acids can also boost your immune function while preventing the body from entering the catabolic state and experiencing the damaging effects of intensive exercise. Now that you already know the benefits of continuous BCAA supplementation, you have to find out more about the possible side effects it may cause. Actually, these supplements seem safe for anyone who wishes to build muscle mass and perform better during workouts as long as they are not suffering from Lou Gehrigs disease. They are indispensable tools for building muscle and preventing the breakdown of tissues and muscles because they do not cause nasty side effects or whatsoever. Therefore, you can continue increasing your intake of Branched Chain Amino Acids without worrying about the usual side effects associated with other protein supplements. If you want to experience the lifelong benefits of proper BCAA supplementation, you have to start looking for the best supplement available in the market. 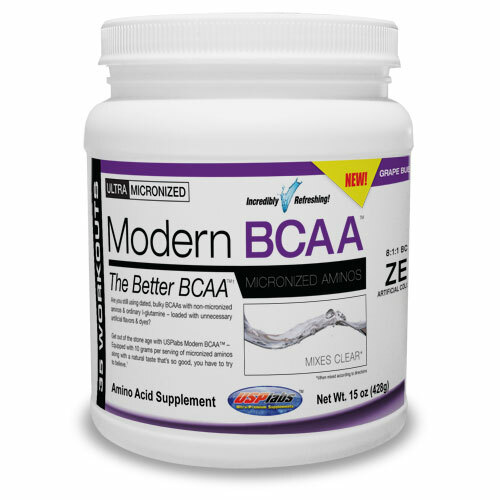 Modern BCAA is probably your best choice because of its proprietary blend of essential amino acids. It also comes with an incredible 8:1:1 Leucine:Isoleucine:Valine ratio (Leucine is the most important BCAA) that can work together to guarantee higher energy levels and help you recover faster from your strenuous workouts. It also supports protein synthesis, strengthens the immune function, and delays the onset of fatigue. Aside from promoting the better absorption of proteins and supporting your digestive health, Modern BCAA also has a great taste. It’s from the same brand as Jack3d (USPLabs), so you know you can trust it. It is certainly worth a try because it can give you the energy and endurance you need to make it through your tiring workouts. Just like other BCAA supplements, Modern BCAA also comes with all natural ingredients so you need not worry about nasty side effects or whatsoever. You are probably wondering where you will find the best deals on various BCAA supplements. It is always best to buy these beneficial supplements online because websites offer price comparison pages that can help you save as much as 40% on every purchase you will make. Most online shops also offer free shipping and they will not require you to pay sales tax either. Once you have used reputable price comparison widgets online, it will be easier for you to find a cheap BCAA supplement that is worth every penny it costs. Hi, thanks for the e-mail. BCAA (especially Modern BCAA) is an incredible multi-use supplement, so it really depends on your goals and budget. If you are working out on an empty stomach, BCAAs are especially important, and I’d even consider taking a scoop with Jack3d pre workout, and more again during workout. This is a killer routine for fat burn but NOT muscle-breakdown. If you’re an endurance athlete or on a ketogenic diet, take them throughout the day as much as you can afford… 25g BCAA/day or more is not unheard of – but this is not cheap!! BCAAs are the one dietary supplement that cannot be replaced by food. Nothing works as quickly and directly to the bloodstream. But realistically — no — I’m sure you have better places to spend your money and if you eat regularly to keep your blood sugar levels even and aminos in your bloodstream throughout, you’ll be fine. Marc here sells stuff that competes with USPLabs (ie he has his own fat burner that competes with OxyELITE Pro), but it’s still a great book.